What products to use when Dermarolling or Microneedling is a question I get a lot. Dermaarolling and/or microneedling are becoming increasingly popular every day. I get a lot of inquiries about using my GHK-Cu Copper Peptide Amino Complex before or after a treatment. It's no secret that GHK-Cu Copper Peptide is the best and most coveted treatment product to use when Dermarolling or Microneedling; and people want a clean formula, which is why they use mine. I've been reading about dermarolling/microneedling for over 10 years, but I've recently taken up a new interest in it and have been researching and speaking with professionals A LOT - and here's why: I was very surprised to learn that the microholes caused by the needles close up 60-90 minutes after treatment. I.did.not.know.this! This knowledge changes everything for me; I'm jumping onto the band wagon and going to give it a go myself. What do you usually do before going out on a hot sunny day? Undoubtedly, you put on your favorite sunscreen for face to protect your skin from sunburns and premature aging. However, are you in a habit of using a great sunscreen cream if the day is cold, cloudy or rainy? If not, you’re making a big mistake that can cost you both a younger looking and healthier skin. Frankly speaking, I don’t know many women over 30 who care for their skin but have never heard about retinol. It’s not surprising. Trendy skin-care solutions come and go whereas the proven ones stay at the top of the list. Undoubtedly, NCN Professional SkinCare retinol products with their numerous benefits are among tried-and-true options worth your attention. Why? The answer is simple - they actually work. The benefits of Vitamin A for your skin are many! I'm going to talk about the best two ways to get those benefits into and onto your skin. As I’ve already mentioned in a recent blog post, "healthy-skin-healthy-body-healthy-mind", you really can heal yourself through food. These are not just beautiful words. It’s my own life experience. That’s why today I want to focus on the foods that nourish the skin. We all want to protect our skin, and one of the best ways to do that is with skin barrier ingredients. Healthy skin, healthy body, healthy mind... I write about skin care or product ingredients all the time; but I'm just as passionate about the health of our bodies and minds. 'Best Eye Cream' is something anyone over the age of 30 searches for in Google; search no more, I have it! NCN Eye Fix just got better with the addition of two actives specifically for the eye area. Eyeseryl and Eyedeline. Now Eye Fix has 14+ proven actives in it to address under eye bags, hooded lids, dark circles, lines and wrinkles. Ceramides = fantastic for your skin! I received an inquiry from a regular client the other day asking me if I could make a formula that has ceramides, cholesterol, and essential fatty lipids. She has used Skinceuticals Triple Restore 2:4:2 that sells for $128.00 for 1.6 oz. 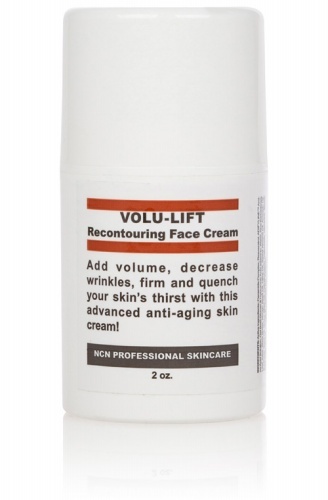 I was very happy to tell her that my Volu-Lift Recontouring Face Cream with Ceramides ($59.00 for 2 oz.) contains exactly what she's looking for. Grapeseed oil benefits for your skin are abundant! Grapeseed oil is extremely rich in beta-carotene and vitamins D, C, E. It also contains a higher concentration of essential fatty acids like stearic, palmitic, and linoleic acid. These fatty acids are very effective in reducing wrinkles. They are also effective at diminishing scars. Grapeseed oil is an astringent which results in skin tightening and toning. It is highly beneficial for all skin types.